Hello! My name is Anna Chambers, I am 18 years old from Durango Colorado. 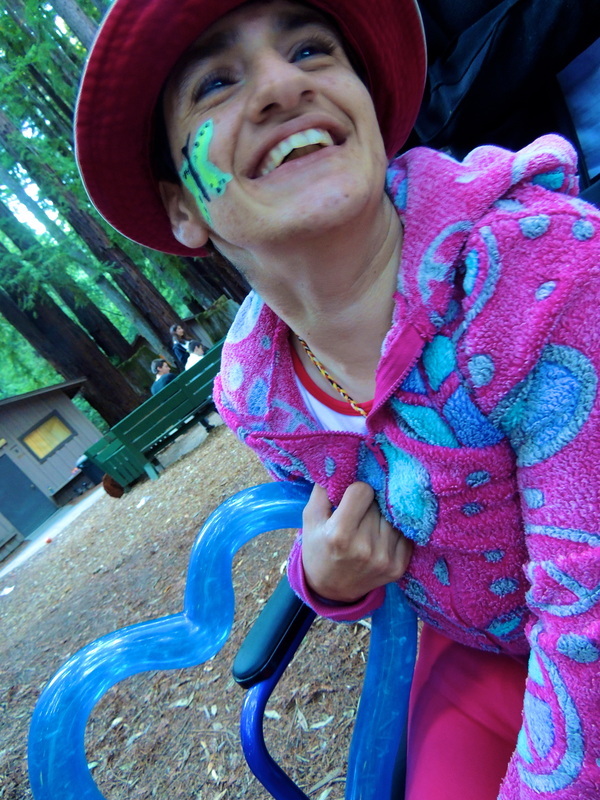 Although I am studying at Fort Lewis College, I am currently working in Santa Cruz, California pursuing my passion as a counselor at a summer camp for individuals with disabilities. Here at Camp Harmon new campers arrive each week ranging anywhere from 8-65 years old. Our mission as counselors is to provide love, compassion, and joy within the short time that they are here with us. My goal through SoLoved. Movement is to express how special these people truly are. I look forward to sharing my experiences at camp as I encounter these unique and gifted individuals. My desire is to make a positive difference in as many lives as I possibly can within the small amount of time that I have here. HELLO from Camp Harmon! I hope all you beautiful people are doing great out there. Lately my days have been longer than I would have ever expected. A typical day at camp usually consists of arts and crafts in the morning, pool time in the afternoon, and an evening program after dinner. Lets be real, I LOVE the activities. I LOVE being loud, getting painted from head to toe, getting gallons of of ice water dumped on me, and most of all, having food fights..ON A WEEKLY BASIS. It's great, really great. But if I'm being 110 % honest, it can extremely exhausting from time to time. On the outside it looks like all fun and games but it's not until you're being woken at 3:30 AM by a camper to "go on a walk" that you begin to question "what the hell am I doing here". I've had my fair share of break-downs and questioned my ability to continue on.